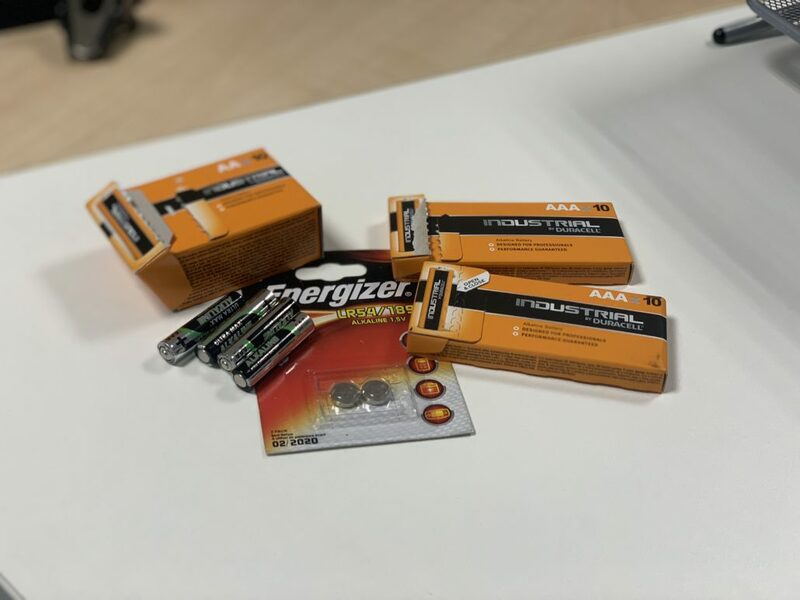 Each year we throw away over 600 million batteries, but did you know that batteries are a significant risk to our health and the environment? Many batteries contain harmful chemicals (particularly heavy metals such as lead, mercury, or cadmium) which can escape into and poison our environment and watercourses. Car batteries contain acids which can cause burns and harm wildlife. Lithium rechargeable batteries contain flammable materials under pressure which can cause fires when the battery becomes damaged. This is a significant risk on waste sites where the battery can become damaged during processing. No batteries should be put into skips, recycling bins or household waste. Most large supermarkets and garages have designated collection points for batteries where you can take old batteries. Council household recycling centres may also have collection points for all types of batteries. Some garages will recycle your car battery for you. Not only is recycling your batteries safer, it is also making a difference to the environment.